One of our families biggest challenges was to get enough green food into our diet. We always bought lots of fruits and veggies but by the end of the week they were still sitting in the fridge. After a few days they were not as perky and nobody really felt like eating them. Can you relate? Juicing was our solution to that problem. We get enough fruits and vegetables in one sitting in the most easily digestible form. I love to drink this juice in the morning on an empty stomach. Even my little guys drink it! 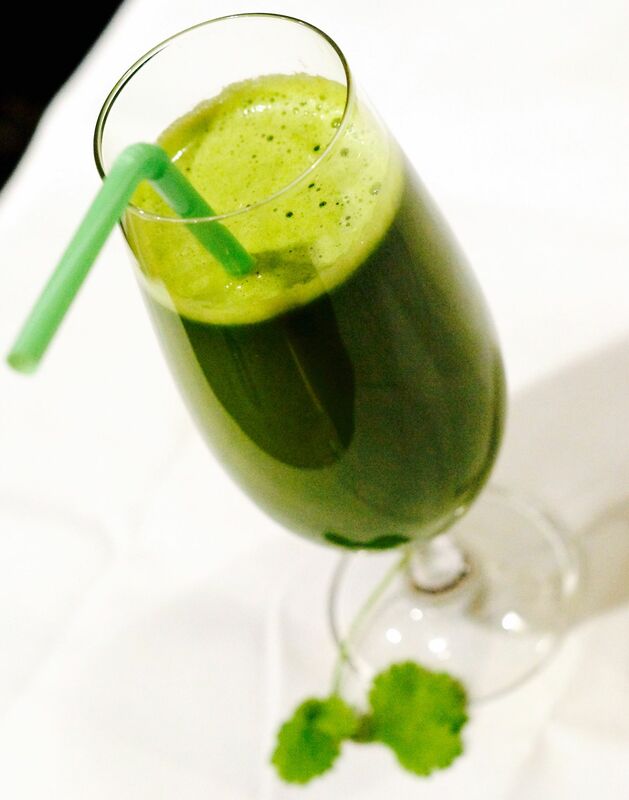 It’s refreshing, filled with antioxidants, vitamins and minerals and it will be your liver’s best friend since it has amazing detox properties. It will also give you a great boost of energy most of us need in the morning hours. If you don’t really feel like juicing every morning, just follow the tips on my recipe for Tropical Limeade. It explains how we keep your juice fresh longer! Tip: When washing your produce you can just clean your sink and set all produce, spray with veggie wash, rinse and add it to a bowl of water and a few drops of lemon oil. Let it sit for a few minutes. That will kill any pathogens that may be lurking in your produce. No chemicals needed! For extra nutrition and to avoid blood sugar spikes you can add a farm fresh raw egg yolk to every cup. For extra gut healing properties you can add a tsp of Great Lakes Gelatin. Put it through a juicer. Serve it fresh or store it into a seal container for up to 3 days.